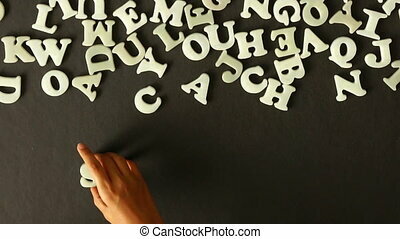 Letter hands success. 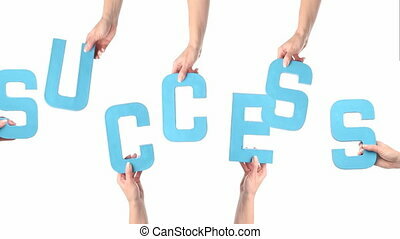 A bunch of people's hands holding the letters that spell out the word success to signify a team of people working together to achieve their goal. 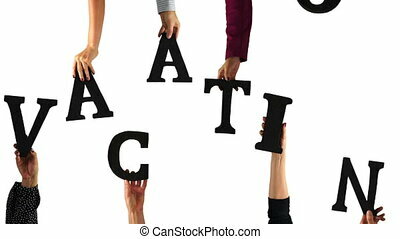 A bunch of people's hands holding the letters that spell out the word SUCCESS to signify a team of people working together to achieve their goal. 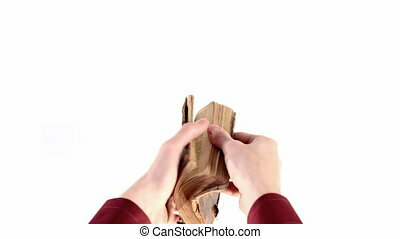 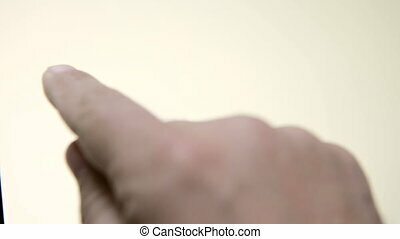 Cardboard cutout with the word "SUCCESS" holding by the human hands. 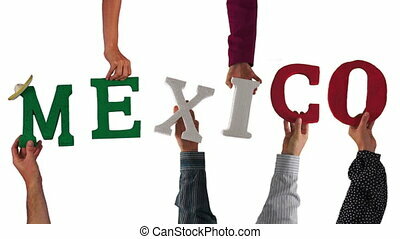 People holding up letters in their hands to spell out the word MEXICO. 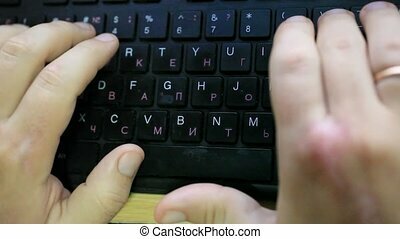 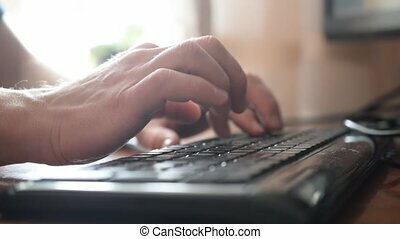 Hands entering the screen and holding up the letters to spell the word VACATION. 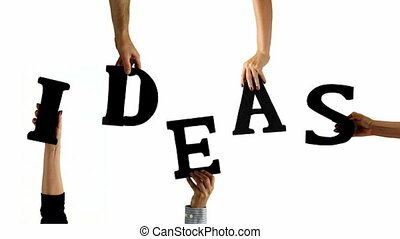 Male and female hands holding up letters to spell out the word IDEAS. 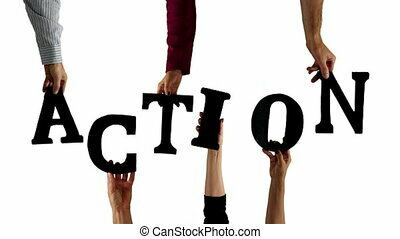 Hands holding the letters that spell out the motivational message keyword ACTION moving into the screen. 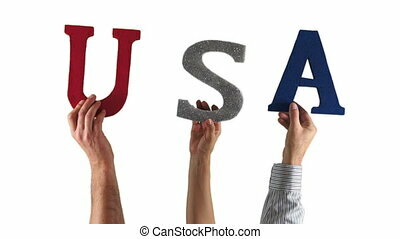 People being patriotic and holding up the letters in their hands to spell out the word USA. 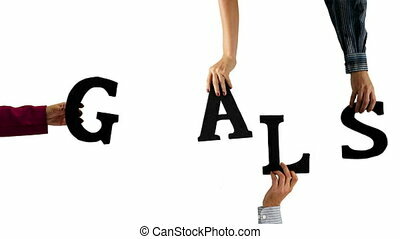 Different hands holding up the letters to write the word GOALS to signify that they have plans and aspirations for the future. 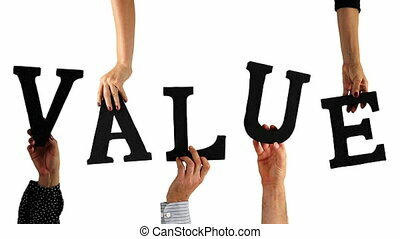 People's hands holding the letters that spell out the word VALUE to place significance on the importance of value within their business. 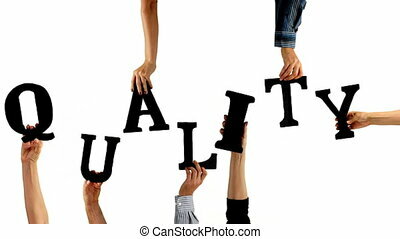 Hands holding the letters that spell out the word QUALITY to signify a team of people working together to achieve their goal. 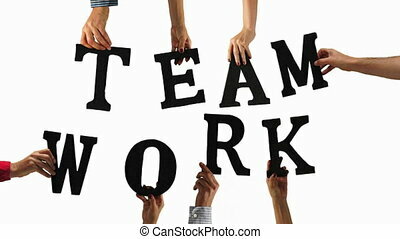 Many people's hands holding the letters that spell out the word TEAM WORK to signify a team of people working together to achieve their goal. 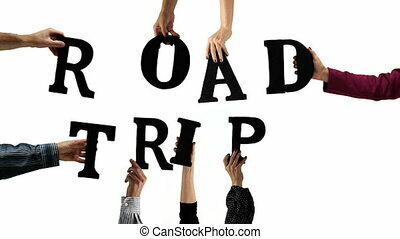 Hands holding up the letters to spell out the word ROAD TRIP. 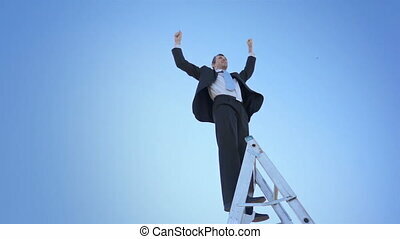 A businessman in a suit and tie and standing on a ladder raises his hands up in victory against a clear blue sky.  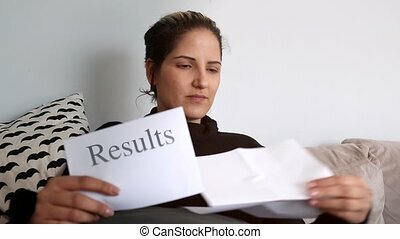 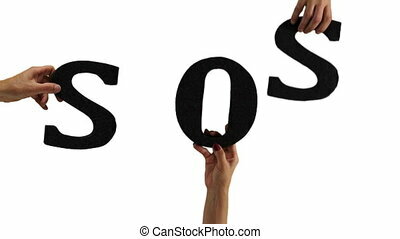 Hands on white background holding black letters spelling out SOS which is the international morse code distress signal but is commonly associated with the phrases save our ship and save our souls. 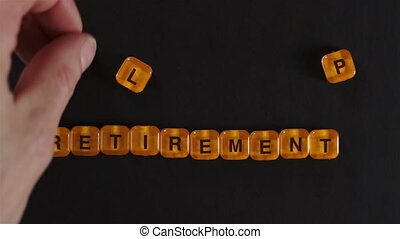 A close up shot of a man spelling out the words retirement plan using orange colored letter blocks on a black background. 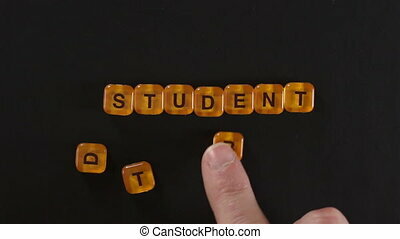 A close up shot of a man spelling out the words Student Debt using orange colored letter blocks on a black background. 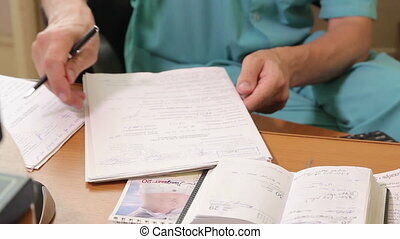 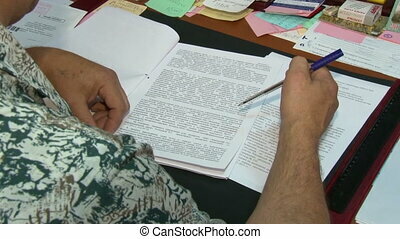 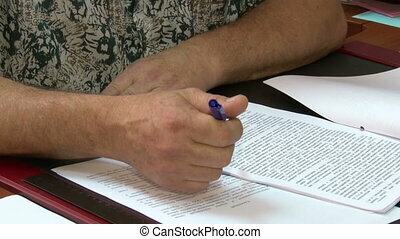 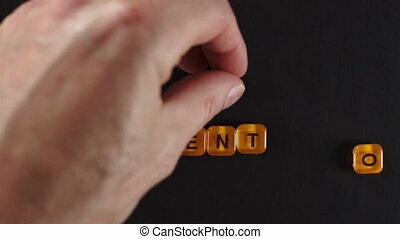 A close up shot of a man spelling out the words Student Loan using orange colored letter blocks on a black background.